The two veteran mobsters returned to an underworld that is at best unsettled. Whether either will attempt to exert control and influence is a question being asked by both state and federal authorities. 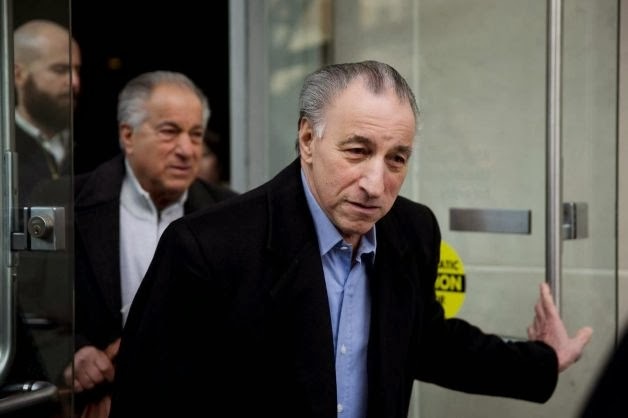 Borgesi, who was serving a 14-year sentence in a separate racketeering case when he was indicted in May 2011, will be on supervised release for about 18 months. Does everyone play nice and get along or does greed and treachery dominate? That's what several veteran law enforcement investigators are asking. Nicodemo was arrested 30 minutes after the shooting in his home about five blocks from the murder scene. A gun and other evidence linked to the crime were found in his SUV which was parked in the driveway. And in New Jersey, an investigation continues into the shooting of the boyfriend of Galati's daughter in Atlantic City. The same hitmen tied to the murder-for-hire case in Philadelphia are believed to be those who carried out that shooting. The boyfriend survived. The shooters, arrested minutes after the attempted hit went down, are said to be cooperating in both cases. Galati is a target in that investigation and in a separate insurance fraud case focusing on the arson of at least one boat, according to sources familiar with the case. Authorities would like to question both men about a series of unsolved mob murders. For either defendant, that could be their get out of jail card. But as the juror in the Ligambi trial pointed out, the dilemma for prosecutors as they consider building new cases is whether Nicodemo and Galati would be "credible witnesses" or just two more "convicted criminals" taking the stand in a government deal with the devil.